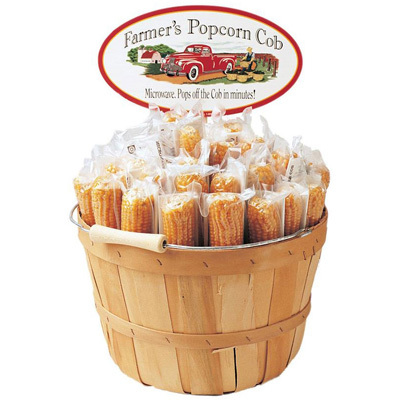 Farmers Popcorn Cob. 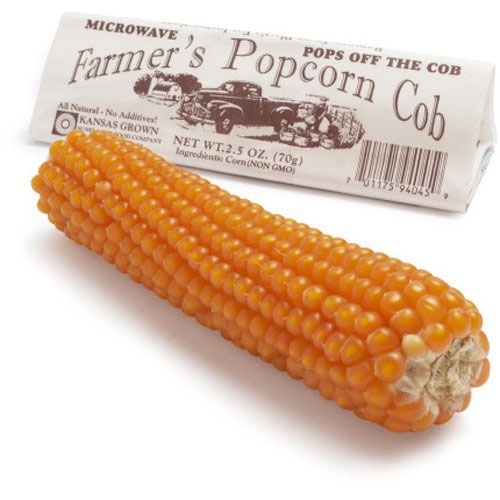 2.5 oz popcorn cob is Kansas grown, non-GMO, and pops right off the cob. Simply microwave for a couple of minutes in the bag included.